Veterans Peace of Mind is now offering Mindfulness Meditation sessions for Veterans and Active Duty Service Members at the Shambhala Meditation Center in Denver, located at 2305 S Syracuse Wy, Ste. 214, Denver, CO 80231. We meet every other Wednesday from 12:00 Noon to 2:00 pm. See this calendar for current meeting information. We will practice meditation, participate in discussions, and offer friendly support. Many scientific studies at this point have verified the value of mindfulness for stress-reduction, emotional well-being, improved health, and other benefits. 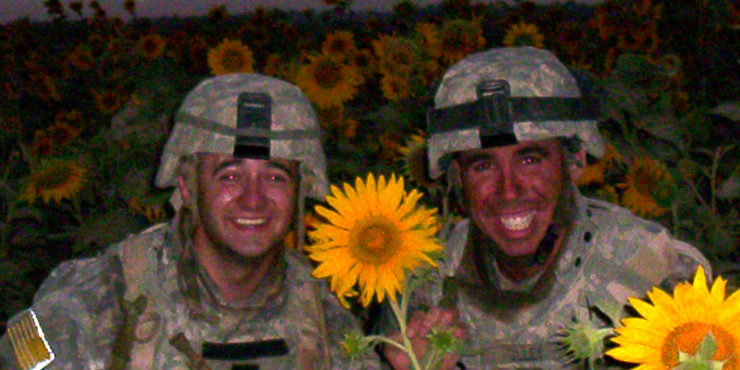 Veterans’ Peace of Mind uses a variety of mindfulness-based techniques to “dis-empower” the triggers of trauma, exercising choice as to whether or not they allow the triggers to escalate and run away with them. Learning to let go of afflictive emotions and obsessive thinking in this way relaxes stress and invites a healthier, more joyful experience of life. When the mind isn’t cluttered with a lot of thoughts, its true nature is cheerful.